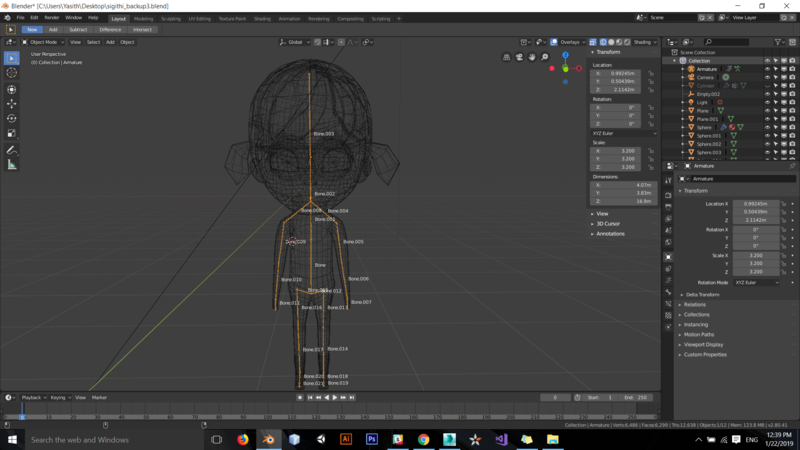 I'm trying to set armature to human body object. But I have a problem, can't apply armature deform with automatic weight. I was removed doubles, but any time has this problem. how solve this problem. Browse other questions tagged objects armature bones or ask your own question. Blender freezing when I try to add automatic weights to a parent? Automatic weight painting does not deform the mesh of my character? Is it possible to isolate parts of an armature so the mesh will never deform?